Virtual Reality (VR) presents an extraordinary opportunity for Golf Courses and Country Clubs to increase revenue. Publishing a quality VR Video showcasing your course, clubhouse, culture, and amenities can help you attract new customers and increase loyalty from current customers—especially now that VR Videos can be viewed and shared on Facebook and YouTube using a simple smartphone. If you are interested in exploring VR as a marketing platform, and using it to increase revenue, you need a strategy. You need to know what has worked in the past, and what has not. You need to understand who you are targeting with the VR Video, and how you are going to get it infront of them. You need a range for the potential ROI for your efforts. And you need to have a realistic timeline. This twelve page whitepaper written by the EolianVR team is aimed at helping you with each of those aspects. 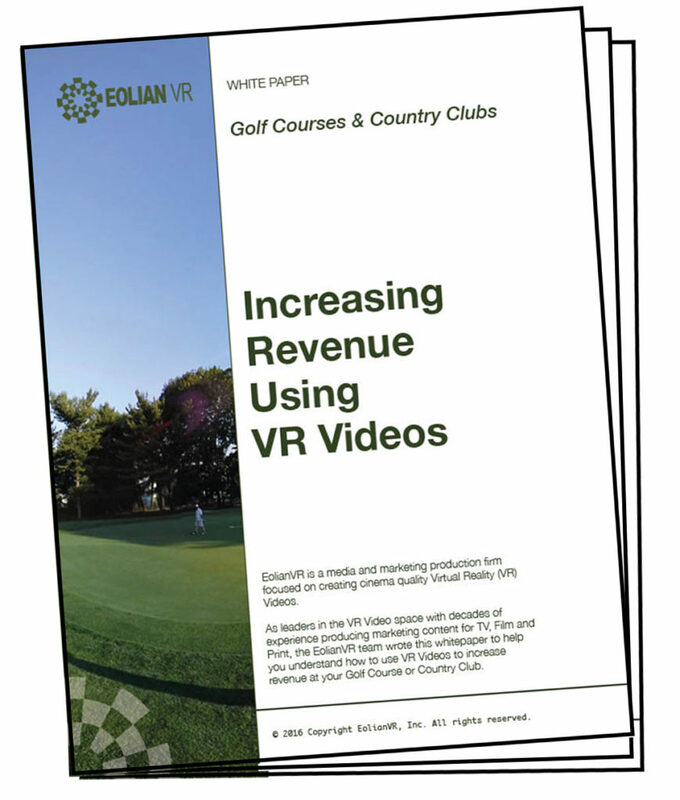 Our goal is to help you understand how to use VR Videos to increase the revenue at your course or club.